The healing properties of regenerative medicine may be your answer to your hip pain. 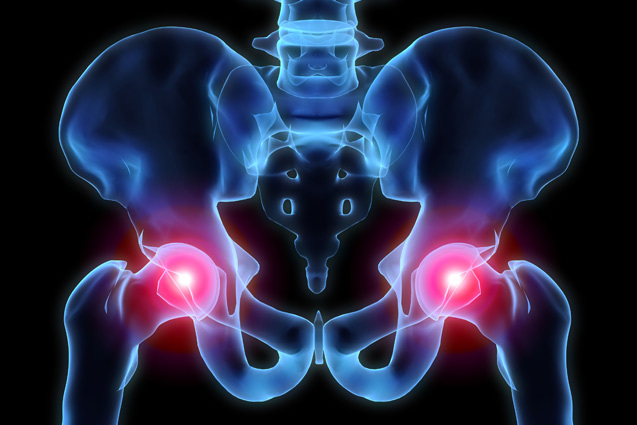 What Is Regenerative Medicine For Hip Pain? For hip pain relief without surgery, consider regenerative medicine injections. These natural treatments can be applied to areas of pain or damage in the hip. Once an injection is administered, regenerative proteins work to stimulate tissue growth and repair cells. How Does Regenerative Medicine Relieve My Hip Pain? The anti-inflammatory and regenerative properties of the treatments are derived from cytokines and proteins naturally found in the body. These natural cells reduce inflammation and scarring, and promote healthy tissue growth, thereby aiding your body in its recovery. What Is Used In Regenerative Medicine Treatments For Hip Pain? The multi-potential cells in regenerative medicines such as PalinGen Flow have been shown to develop real cartilage and prevent joint degeneration in the hip. PalinGen Flow also contains the hyaluronic acid, a crucial component in the natural lubrication of the hip joints. The procedure takes between ten to fifteen minutes and can be done in-office or at an out-patient surgery center. The medicine is injected, by the doctor, into the hip joint. Patients usually experience no pain, though an anesthetic may be used, if desired. Most patients only need a single treatment in order to experience significant pain relief. PalinGen Flow and other treatments may start relieving pain within one to two weeks, though full recovery may take months. Regenerative medicine is as natural as medicine can get, as it is taken from your body’s own regenerative cells. Try PalinGen Flow, or any of the other regenerative medicine treatments at Healthpointe, to find out how your hip may be able to return to a healthy, pain-free state. Call Healthpointe at (800) 956-2663 to find out if regenerative medicine is the best treatment for your hip pain.